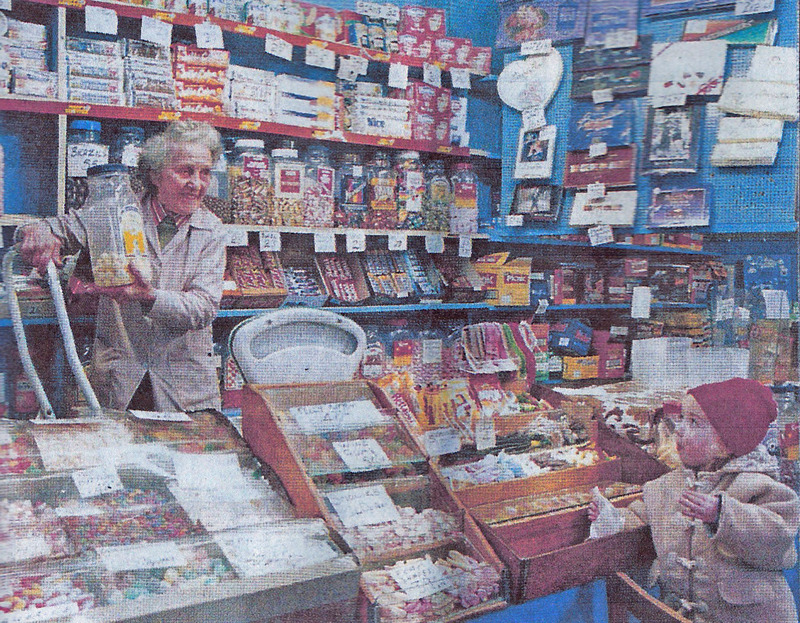 I worked out that on one side of the family (paternal grandmother) five generations of the family shopped there, but on the other side (paternal grandfather) there were six generations bought sweets from Cloughs. Should we not get a loyalty discount Alan? Or even a free gobstopper for every generation. BTW. My maternal family grew up in the city centre so never visited Cloughs – only Maynards. I remember in the early ’60s going to the annual Boys Brigade camp from Heaton Pres. and we always had a ‘tuck shop’ which was supplied by Cloughs …the countless number of boxes of sweets and crisps and pop which were on a ‘sale or return ‘ basis ,were loaded on to the wagon with the tents etc on a Saturday morning …needless to say at the end of the camp there was never anything to return to the shop as there was always a beano on the last night to clear all the food and sweets ! The Cinder toffee was legendary!!! On a more sombre note , I remember being in Cloughs shop ( buying sweets of course ) in 1963 and being told the news that JFK had been assassinated in Dallas and there was speculation that World War 3 might break out at any moment which was pretty scary for a 12 yr old!! > My Father, who was a tram driver, finished his shift one night at Byker Tram Sheds around 10.00pm. and began walking home to Bolingbroke Street, Heaton. His route home took him down Tynemouth Road. Suddenly bombs began falling and at one point he actually saw the parachute of a Parachute Mine. He said he recognised what it was and dived into the front porch of a nearby house. When he eventually got home to find us sheltering under the stairs of the flat next door, he was badly shaken and his clothes were dirty and his boots were badly scratched. > I was nine years old at the time and next day I walked the short distance to Guildford Place to see the damaged caused by the land mine. The area was being kept clear of civilians but the rescue services were working and I saw several stretchers being carried from the wreckage of the houses. The nearby trees were damaged but had clothing hanging from branches where the blast had deposited them and personal possessions such as books and small items of furniture were scattered all around the wrecked houses. I still remember there was a smell of masonry but also an unknown smell, which I now realise must have been the smell of the high explosive.